There are quite a few bright, portable 1280x800 projectors already on the market, so does it make sense for Casio to jump in the pond with their new XJ-A250 for $1,400? It may when its revolutionary hybrid Laser/LED light source is anticipated to last 20,000 hours, thereby eliminating the cost of replacement lamps. In addition, features not found on many mobile projectors, such as a powered 2:1 optical zoom/focus and auto keystone adjustment, make the package even more interesting. The XJ-A250's case is super slim for easy transport in a laptop case or briefcase. It starts in a few seconds and stops instantly with no cool down required, so it is convenient for presenters on the go. On first glance, it looks like a pretty good contender in its class. There are matters for concern, however. Our sample unit missed its brightness spec of 3,000 lumens by a large margin, settling in at about 1850 lumens after a fifteen minute warm up. Also, color balance is well below average for this class of product, and picture control adjustments are incapable of bringing color balance into a normal range. So if you typically have presentation material that requires accurate color display, this is not the projector to use. Design: Casio has packed a lot of projector into a very small case. 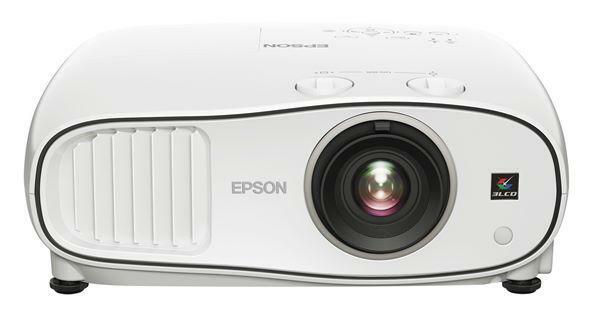 Standing just 1.7" in height, the XJ-A250 is one of the lowest profile projectors on the market. That translates into a lot of convenience for those carrying it on the road. Just slip it into your briefcase or even some of the roomier laptop bags and head for your presentation. If you need it, a form-fitting bag that holds the projector and cables is supplied. Image Throw Angle: The centerline of the lens is 9" above the bottom of the image for a 100" image at a 16:10 aspect ratio. That means if you put it on a conference table, you will need to tilt the projector upward by extending the front elevator foot. The projector can be adjusted further by unscrewing either rear foot to correct any horizontal leveling issues. Auto/Manual Keystone Correction: Since many users will be routinely tilting the projector upward to get the image high enough on the wall, they will enjoy the auto keystone correction feature which senses the angle of the projector and automatically squares up the picture without any need to fuss with keystone controls. The XJ-A250 can auto adjust the image from 0° to +30° vertical (where the top of the image is wider than the bottom). However, if you need to handle ±30° vertical correction, you can use manual keystone control. Connections: One HDMI port. One 15-pin Dsub VGA port for either RGB or component video signals. One RS-232C control port. One 3.5mm mini-jack for either audio input or composite video. Casio supplies a special composite video cable that has three RCA connectors on one end and a 3-way mini plug at the other for the mini jack. Preset modes: The XJ-A250 offers four projection modes (Standard, Graphic, Theater, and Game) as well as a blackboard setting. However, these modes are only available when the unit is in eco mode, so they do not function when the projector is at its brightest. Each has its own color bias and brightness suitable for its particular environment. There is no user memory for storing your favorite image adjustments, but each mode retains your adjustments until changed. Color temperature presets consist of Normal, Cool, and Warm settings, which have relatively limited impact on color balance. User adjustments to red, green, and blue can only be made in Normal mode. On-Screen Menus: Nine on-screen menus may seem like a lot, but they are straightforward with minimal layering. Navigation is easy, but the menu cannot be moved from the center of the image when making picture adjustments, so seeing their effect is difficult. Remote Control: The remote for the XJ-A250 is well laid out with high contrast icons and lettering that is easy to read even in a dimly lit room. A built-in pointer can be moved with the directional keys, and three direct function keys control brightness, Eco mode, and aspect ratio. The only reason to purchase this projector is for the lack of need to purchase a bulb. Otherwise stay away. Why? 1) Technical support from Casio is non existent. Give the manual to an 8 year old and voila you have their technical support. 2) If you are teaching a technical program where you need to see EVERYTHING on the screen, you will need to use the cords. You can't see some things on the screen when you use WIFI ie: tool tips and some menus. 3) You can't use WIFI to explore the internet if using the WIFI to connect to your laptop. It needs it to work. In my opinion if, I had to do it all over again, I would just get the cheapest brand of this brand because the WIFI feature isn't all that. I bought the 240 a couple of weeks ago to use as a bedroom tv. If it lasts close to the 20,000 hours I'll be happy. I'm watching the nba playoffs right now from about 8 feet away on about an 80 inch screen. I can't imagine ever going back to a regular tv. A 40 or 50 inch screen wouldn't do it for me any more. I hope projectors get to the place where they sell at high enough volume to get really good and cheap. This one actually looks fine for sports and most casual viewing but it wouldn't be competitive as a strictly home theater projector. It also has a couple annoying things - you have to resize and refocus the image every time you turn it on. It takes 30 seconds and is already second nature but it's not ideal. I've had projectors for a while, this is my 4th in the last 10 years and this is the first one I've bought to use as a regular tv. If 20,000 hours is true it's maintenance free for my purposes. The extreme portability and huge picture trump the ability to watch in bright light and somewhat better picture of a panel. I love this projector. I'm a sales trainer and keynote speaker and work in both large and small venues. First of all, this is the easiest projector I've ever used when it comes to set up. Just turn it on and in seconds you've got a full bright image and the keystone and focus kick in to adjust the picture perfectly. The zoom feature really allows you to project a huge image from a short distance, so in my opinion this is much better than going for a "short throw" unit because it give you tremendous flexibility - you can operate from pretty much any distance. I've read all the reviews and I know there has been much discussion about the Casio not meeting it's stated lumen output, but all I can say (since I don't have the ability to measure) is that I got a beautiful bright picture in a fully lit conference room. And here's what I loved the most, the Light Source doesn't produce a ton of heat. The fan does cool the unit but on conventional projectors (both DLP and LCD) with regular bulbs, they are just plain hot. When working in a small room full of people, I find myself constantly losing the battle to control room temp because all my previous projectors were kicking out so much heat. Not with this baby .... it stays cool to the touch and the fan output is like a gentle warm (not hot) breeze, which means I can keep a comfortable environment for all us, including me when I'm dancing around the front of the room doing my thing. With ease of setup, crisp bright images, and cool operation, this thin light projector is this road warriors new best friend.